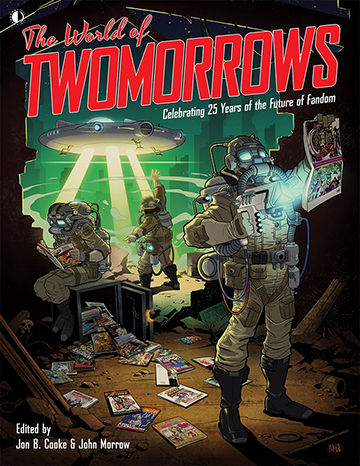 Help us celebrate 25 years of TwoMorrows, by funding our retrospective book THE WORLD OF TWOMORROWS on Kickstarter! The campaign just went live, so we have till April 25 to reach our goal, and make it a reality. HELP US SPREAD THE WORD! Pledge as little as $5 to have your name in the book, or as much as $150 to get an exclusive Hardcover edition, plus some limited and one-of-a-kind premiums!